These days, more and more people are hiring skip bins to manage their residential waste. 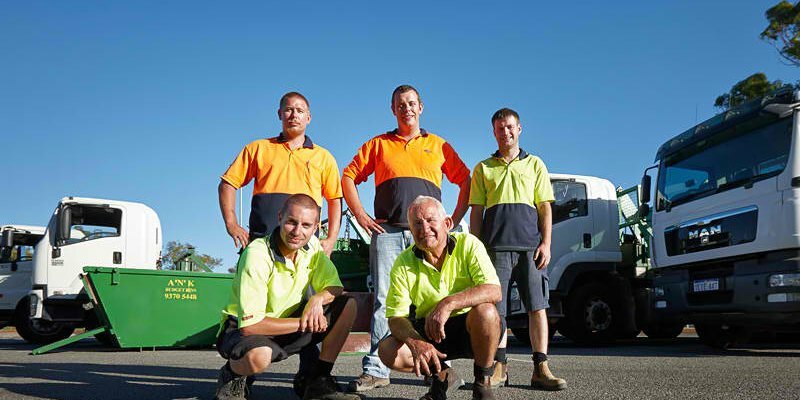 Whether it is for getting rid of renovation waste or moving houses, homeowners are finding various benefits from hiring a bin. What if you only need to dispose of your garden waste or the rubbish from your spring cleaning? Well, the answer to that is a mini skip bin! With sizes ranging from 2m3 to 4m3, you are sure to get the right skip bin for your specific needs. Green Waste – You can use mini skip bins for removing garden waste. Place common green waste such as dead leaves, grass clippings, twigs and palm fronds inside the bin. Household Waste – When you’re doing a spring clean-up or getting rid of some old items from your home, you will find mini skip bins quite useful. You can place unwanted items like old clothes, televisions and toys inside the bins. Removing Waste from an Event – Hosting events or parties can be quite stressful and there are a lot of rubbish you have to get rid of. When you hire a mini skip bin, you can tick one problem off your list of worries. Skip bins are usually delivered to your location and picked up by the waste removal specialist. Moving Items – Whether you need to transport items for your business or you’re moving to a new apartment, then mini skip bins are ideal for you. You are not limited to rubbish when using a mini skip bin. There are also contractors who use skip bins to move their tools from one building site to another. If you are planning to take any of the aforementioned projects, you have to plan a realistic and practical way of dealing with all your rubbish. Keep in mind that trips to the waste tip can be a tedious and time-consuming process, especially when you do not have regular access to a van or a larger vehicle. Hiring a small skip is environmentally friendly. Companies can achieve over 80% recycling rates since in most cases, all the contents of a mini skip can be recycled. Small skips are also made affordable because providers like us bring the recyclable materials to a sorting facility. Since mini skips are smaller, they are offered at more affordable rates. They are often the cost-effective solution to waste disposal. It is just the right size for rubbish produced by spring cleaning, landscaping and small home renovations. Small skips are advantageous, especially in locations with limited space. They can be placed in your garden or in your drive, allowing you to avoid paying for council permits. In turn, you are saving money on waste disposal costs. Mini skips are ideal for most residential waste, including green waste, renovation rubbish and household waste, among others. Like other waste removal specialists, we also do our best to comply with environmental requirements. That is why we do not permit our clients from placing hazardous items inside the bins. Keep in mind that you cannot hire one to get rid of toxic materials, wet paint, oils, asbestos, tree stumps and batteries. We do allow spring mattresses, but only through special arrangements. Our mini skips have a waste level mark and our best advice is to avoid filling the bin above those lines. Please remember that for safety concerns, we won’t accept the entire load and leave the excess rubbish with you. So, ensure that the mini skips are tightly packed with the waste not going over the limit. When you book one of our mini bins, you must ensure that the area for delivery and pick up is accessible. Our personnel should be able to wheel the mini skips to your delivery area without any obstruction. Whether you need a large skip bin or you just need mini skips, A’n’K Budget Bins has you covered. We understand how our clients want to save money by getting the right skip bin size for their waste. As such, we offer mini skip bins that are ideal for smaller amounts of residential or commercial waste. We have mini skip bins ranging from 2m3 to 4m3 and they can hold approximately 8 to 12 wheelie bins worth of waste. As illustrated in this article, our mini skips are useful for small renovation waste, green waste and moving items, among others. They are also built to withstand the weather conditions in Western Australia. Do you think there are some mini skip uses we forgot to include to our list? Let us know in the comments below! PreviousPrevious post:5 Essential Tips for Removing Renovation WasteNextNext post:Why Do you Need a Trash Removal Service Provider?